We can look at Southeast Alaska—from the mountaintops to the open ocean—as a single, vast, highly productive watershed. Everything is tightly interconnected: the land, water, vegetation, wildlife, resources, economies and culture. ASFT's program, SeaBank, was created to tell the story of Southeast Alaska's ways of life. For the communities of Alaska’s Panhandle, this great natural ecosystem functions as a richly endowed bank, providing natural capital that is essential to the regional economy. SeaBank is a diverse nexus of individuals, scientists, organizations and businesses that wish to share the untold story of Southeast Alaska’s ecological wealth and promote the region’s natural products that support the livelihoods of our communities. Unlike ordinary business enterprises, the Southeast ecosystem bank requires no human input, no equipment, and no built infrastructure of any kind, yet it produces over a billion dollars worth of fish and other sea foods every year. The ecosystem bank is also infinitely sustainable, as long as its resources are harvested responsibly and we assure that the environment remains healthy and productive. 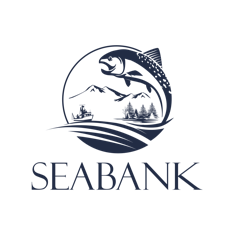 The goal of SeaBank is to make people aware of Southeast Alaska’s natural bank, to measure the huge annual capital that it provides, to highlight its value to shareholders, and to help safeguard its future. SeaBank's website will act as an information hub: it will organize information, share research in a compelling and understandable way, and provide an outlet for locals to share their knowledge, stories, and ways of life pertaining to their relationship with the surrounding environment. Eventually, the website will aim to not only serve as an informational resource, but a marketplace for locally and sustainably sourced products. Sam Skaggs is a registered investment advisor with 30 years’ experience managing portfolios and giving financial advice to individuals and organizations in Alaska, dba Verdant, LLC now based in Sitka. Skaggs is also the President of the Skaggs Foundation, a small family foundation that has been funding conservation projects and helping to build community in Alaska since 1988.